Did you happen to see the paper flowers in the Oregon Barn Yard Wedding? All made by Makela from Tie That Binds Weddings. Adding a crafty element to your decor for less than pennies. Use them as the wedding centerpiece on your table, a boutonniere or even your wedding bouquet. There are countless ways to dress these up. Possibly place them in a mason jar and wrap some lace around the jar or you could hang them from the ceiling from twine. 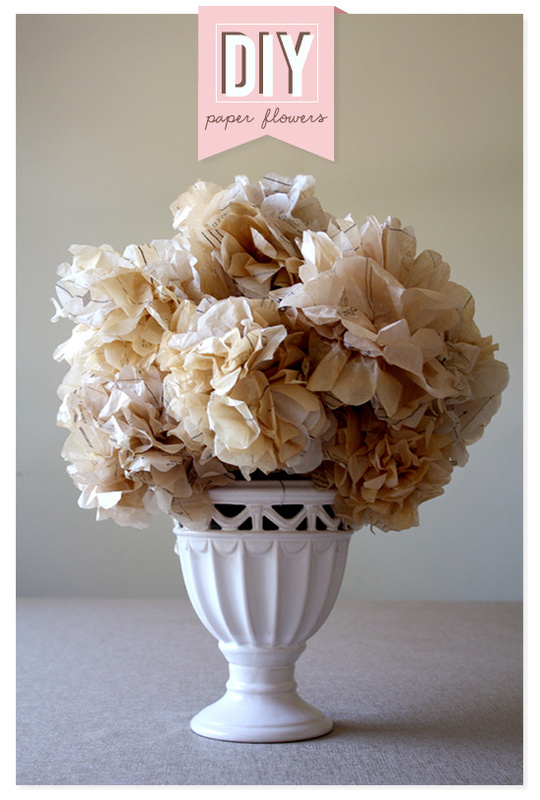 We would love to hear how you would use your paper flowers. 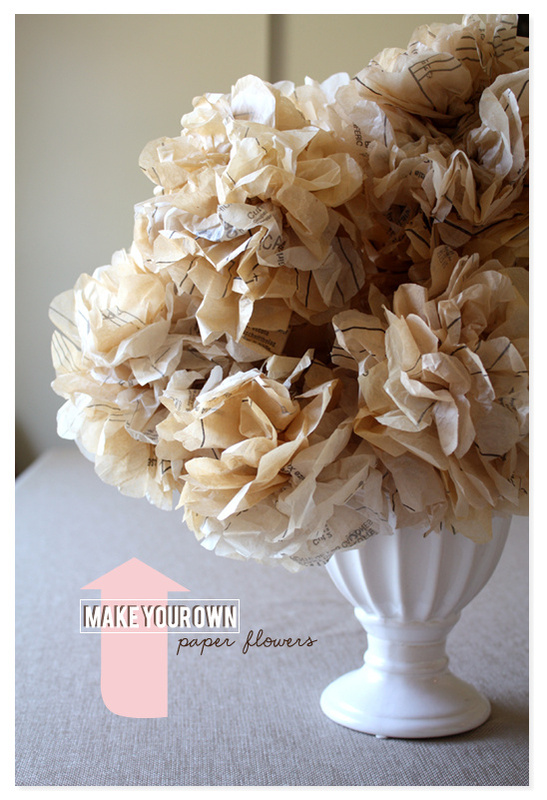 Read on for exact instructions and materials on how to diy paper flowers. 7. If you will be arranging the flowers in a big bouquet using floral foam, wrap the remaining wire around a skewer. You can wrap up to three blooms around one skewers Ta-da! And there you have it, a bouquet of stunning paper flowers!